As of August 2018, the FDA requires that all tobacco products that meet their requirements, which includes cigarettes, vaporizers and any electronic nicotine delivering systems, to display a nicotine warning The agency also sent e-cigarette producers a warning that they must work to lower underage usage, or their products could be banned from being sold. Due to a surge in usage of e-cigarettes by minors, the FDA has restricted their sale in some stores. However, the FDA is currently determining whether or not more regulations are needed or if e-cigarette companies can effectively steer their products away from minors without additional regulations. As cigarettes and other smoking devices are regulated by the Food and Drug Administration, so should e-cigarettes. Nicotine is an addictive chemical in cigarettes which kills thousands a year and is regulated by the FDA. E-cigs also contain the chemical, making it a good candidate for government regulation. FDA regulations can only make e-cigarettes safer for those wanting to quit smoking, which is their intended use. The FDA has the power to regulate what products are sold to minors, like alcohol. People under 18 cannot buy cigarettes, and e-cigs should not be in their hands either, which qualifies for intervention of government regulations. With proper marketing and regulations, the government can reinforce the stoppage of cigarette use for a nicotine-free generation. To contest the monumental youth involvement with vaporizers, the FDA can hinder adolescent-geared advertising, make them expensive, like cigarettes, and alter the sale and display of e-cigs. Nicotine in e-cigarettes can increase one’s heart rate and affect the development of the prefrontal cortex, causing attention disorder and lack of impulse control. The chemicals found in flavored e-cigs, like diacetyl, are associated with lung diseases. Other components in them, like propylene and glycerol, can form into formaldehyde when heated by a vaporizer, as determined from the Harvard health department. The government calls for regulation of cigarettes and not e-cigs because of the disease and death rates from tobacco. E-cigarettes have no morbid reports like regular cigarettes, which doesn’t necessarily provoke government involvement. Although e-cigarettes are a better option over cigarettes, the government should be involved to assure they meet safety standards. The FDA can ensure handling e-cigs safely and require warning labels. It is only in consumers’ best interest to have government regulation for quality control and safe consumption. With this, manufacturers will have to provide the FDA with the ingredients in the vaporizers and approve new products to ensure that everything is safe. E-cigarette companies should not be regulated by the Food and Drug Administration. These regulations will cause negative effects on people who work in this industry, and they are unnecessary if consumers use common sense. As of August 2018, the FDA requires that all tobacco products that meet their requirements, which includes cigarettes, vaporizers and any electronic nicotine delivering systems, to display a nicotine warning, so the consumer is responsible for evaluating the consequences and choosing whether to use e-cigarettes. The FDA’s regulations will reduce the chances of current smokers to quit by limiting the number of products on the market and limiting the access to e-cigarettes. A study by the American Journal of Preventative Medicine on current versus former smokers found that the largest demographic of e-cigarette users is former smokers. These regulations on e-cigarette companies will cause many people in small businesses to lose their jobs. The president of the American Vaping Association, Gregory Conley, confirmed that, as a result of these regulations, small businesses will face unemployment while larger tobacco companies will gain a greater hold on the market. The FDA’s regulation of e-cigarettes will largely affect former smokers more than any other demographic. According to a study by the National Center for Biotechnology Information, the percentage of ever, current or regular use of e-cigarettes was the highest in those aged 45-64 years old who had quit in the past 1-3 years, proving that e-cigarettes can be a useful tool to quit smoking. However, some may say that e-cigarettes contain toxic chemicals and cause detrimental effects to the body’s health. Although this may be true, many studies by the BioMed Central show that e-cigarettes do less damage, especially to the lungs, than traditional cigarette smoke. E-cigarettes have proven to be significantly less harmful than smoking traditional combustible cigarettes. 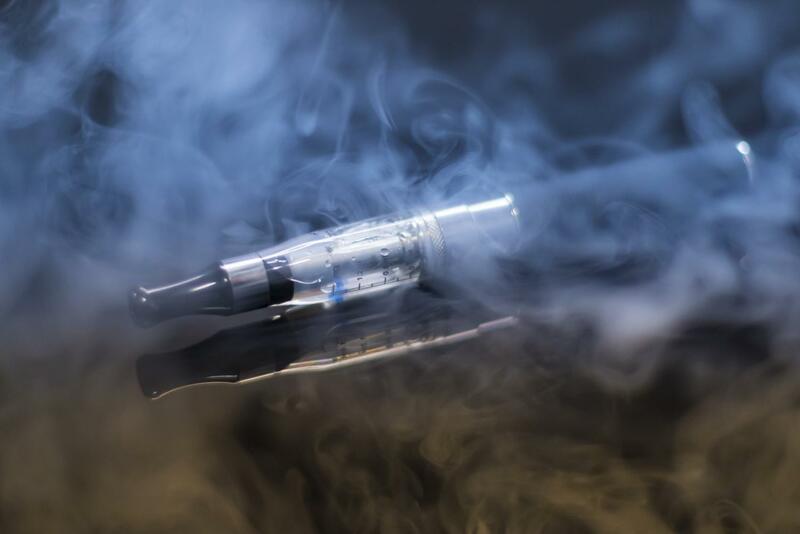 Although these e-cigarettes do have some negative effects, a study by the BMC has shown that they are much less toxic to surfactant, an important fat and protein combination in the lungs, when compared to the damage of regular cigarettes.